Fiber Projects as of September 2006 « She just can't sit still! Jen bought me some handpainted yarn (60% Merino Wool Superwah, dosage 25% Mohair, healing 15% Nylon) for my birthday. I’d been looking for just the right yarn to make this gorgeous lacework scarf (pattern). 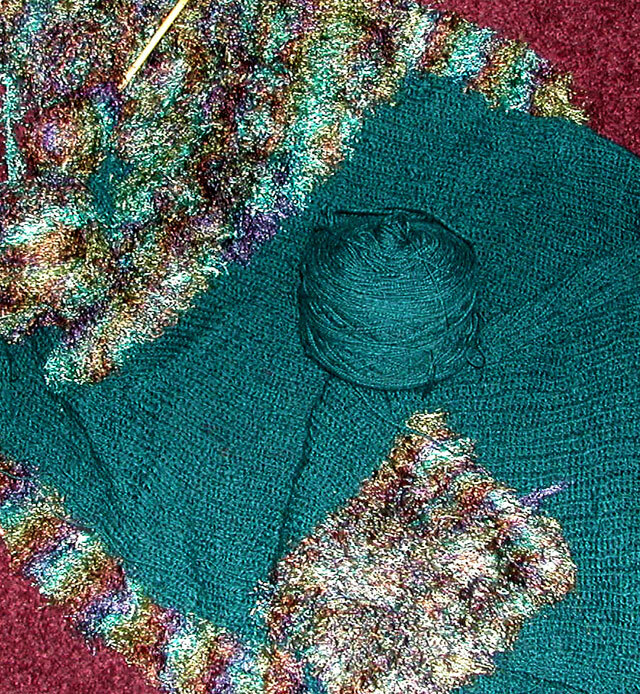 It’s knitting up beautifully. 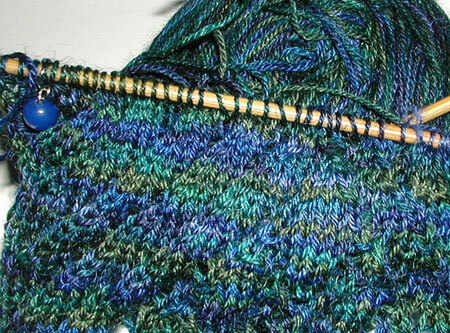 I do love knitting lacework, treat although Brian is certain it will bump me over the sanity edge. 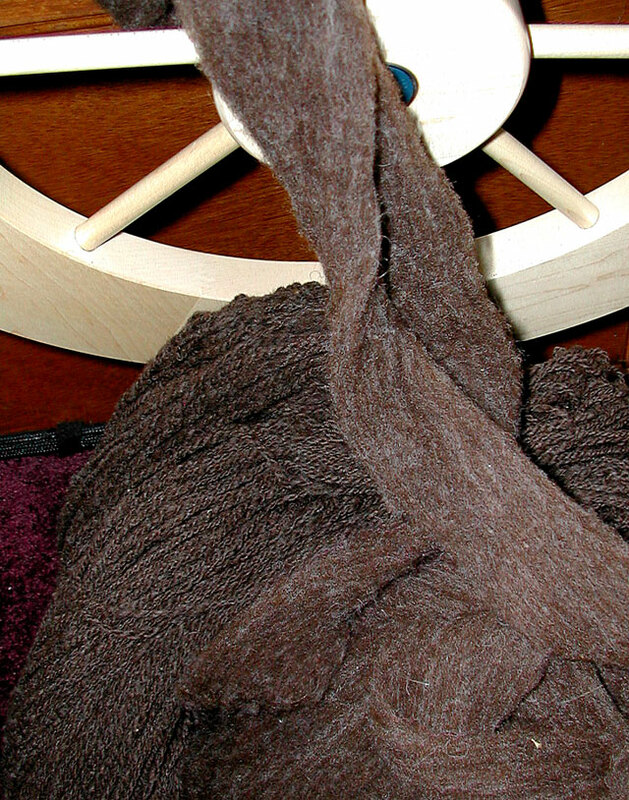 Despite his teasing, I’m spinning some of the softest, springiest, chocolate Babydoll Southdown wool to make a shaker sweater. I have a wonderful snowflake to skull pattern to add to the sleeves to make it slightly work inappropriate, but fun. 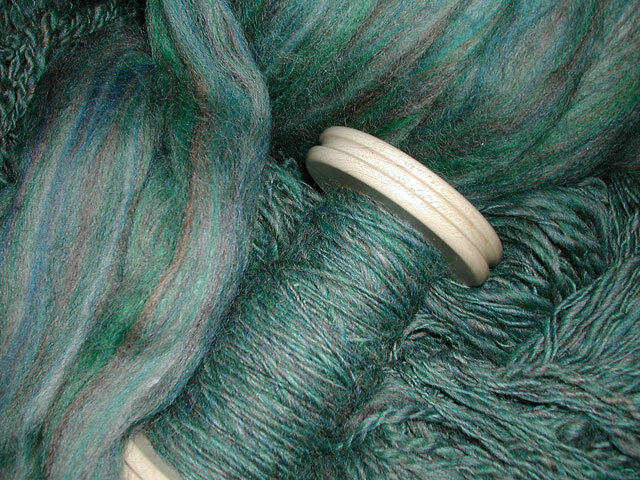 The turquoise yarn for this shrug was spun from a Corriedale Top. It’s a silky feeling fiber and I added some long thread furry fun yarn around the collar, bottom, and wrists to make it fun. The colors are a little off here, they furry stuff is carribean blue, purple, olive, and copper. 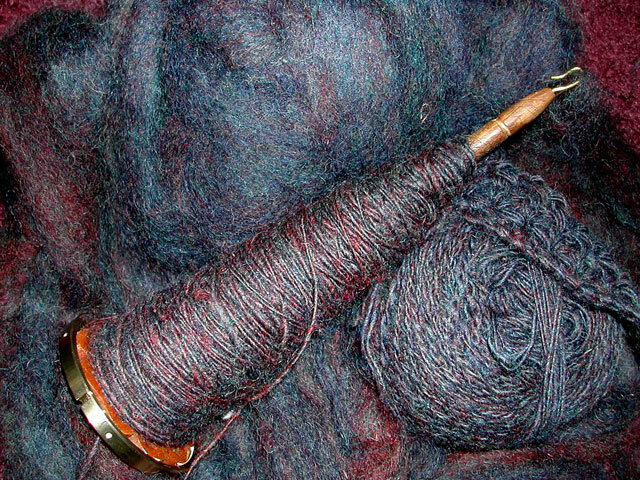 This is an aptly namee Mixed Berries dyed Romney & Corriedale blend. I love the color, but it’s rather scratchy. I need to find a good project for this. I had been looking at this lovely large ball of roving at my local fiber shop, Heritage Spinning and Weaving, for ages and finally bought it. She gave me a good deal on it because she didn’t know the fiber and it had been there a long time. There’s enough here for a full sweater. This entry was posted on Friday, September 22nd, 2006 at 12:01 pm	and is filed under Fiber Arts, Knitting, Spinning. You can follow any responses to this entry through the RSS 2.0 feed. You can leave a response, or trackback from your own site.